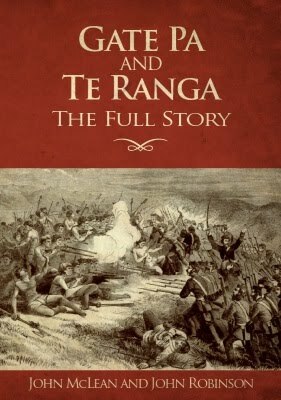 Gate Pa and Te Ranga; the Full Story describes the historical background for the decision of Ngaiterangi warriors to join the fighting against the British, including their attacks on south Auckland settlers and troops. Ngaiterangi fought as part of a pre-Treaty alliance, formed during the bloody inter-tribal wars of the 1820s and 1830s. The reasons why almost 2,000 British troops were sent to Tauranga in 1864 are more straightforward. Tauranga was not only an important staging post for tribesmen from the East Coast and Bay of Plenty on their way to fight alongside the Kingite rebels in the Waikato, but was also supplying the Kingites with food and gunpowder. It was to stop all this and to impose law and order in what was a rather lawless place that the British carried out a military campaign, in co-operation with the loyal Arawa tribe, in and around Tauranga in the first half of 1864. 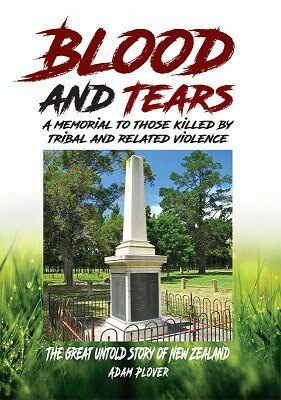 The book traces the fighting from Maketu through Gate Pa to Te Ranga and the final unconditional surrender of Ngaiterangi to the Crown in July, 1864, when they laid down their arms at the feet of the Governor, Sir George Grey. Here they undertook to keep the peace in return for being well-treated by the Crown - promises that both parties kept. This peace has endured and is the real victory of Gate Pa and indeed of the whole campaign. In the course of creating the New Zealand that we have to-day, with its law and order, property rights, personal safety and individual freedom, numerous people - both European and friendly Maori - were killed by tribal violence. They gave their lives in the cause of creating order out of anarchy and are just as deserving of the nationâ€™s respect and sympathy as are soldiers who die on the battle-field. In this book some of these brave but unfortunate people are introduced to the modern reader, together with brief details of their lives and of their untimely and brutal deaths, thus bringing to life an aspect of our early history that has been overlooked for far too long. New Zealandâ€™s history is being rewritten with a new narrative in favour of the ever growing â€œgrievance industryâ€. In the process real historical events are being swept under the carpet and out of sight if they get in the way of this new agenda. This book, based on facts alone and impeccably researched, tells of some of these long-buried events as they really happened. Two opposing flags were flown at an 1857 Waikato meeting of Maoris, where those intending to establish a Maori king were challenged by a second group flying the Union Jack. The proposed "king" was not accepted by all Waikato Maori; there never was consensus or unity. Across the country some Maori came to support this new king but far more were opposed. Chiefs at the Kohimarama conference in 1860, the largest conference of chiefs ever held in New Zealand, voiced their dismay and opposition to the king movement. An offer of assistance for the Government came from the Ngapuhi in 1863; in 1864 Arawa defeated kingite reinforcements; in 1869 friendly natives, including Ngati Kahungunu, defeated Te Kooti, resulting in the withdrawal of kingites from a possible new rebel coalition. A key reason for the birth of the king movement had been the failure of the new government to provide universal law and order. The British wanted to bring a new, improved form of colonisation in which many native customs would be respected. But for some years British law was not enforced in back country regions where Maori were predominant. Consequently Tamihana Te Rauparaha called for a Maori "king" to bring the much-needed, firm government. 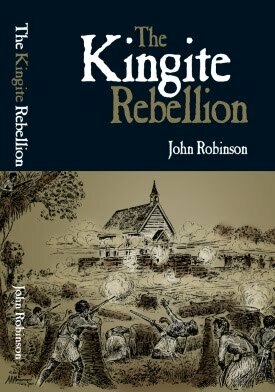 However, he became opposed to it after kingite supporters joined the Taranaki rebellion. Other leaders had different ideas. Wiremu Tamihana (the "kingmaker"), spoke of having two co-existing sovereigns, which was absurd in law and unworkable in practice. The warlike Rewi Maniapoto attacked Government agents. The old warrior, Te Wherowhero, was a friend to the Government until he was hijacked to become the first king, Potatau. His weak son, Matutaera, became the second king, Tawhiao, and after his defeat took up the new Pai Marire religion. Their rebellion cost lives and caused widespread disruption, and the divided king movement failed in all its objectives. The Treaty of Waitangi was a simple, 375-word document, consisting of three articles, a preamble and a postscript, by which Queen Victoria obtained sovereignty over the anarchic and bloodstained islands of New Zealand (first article). Maori were guaranteed possession of their property that they could sell to the government (second article), and all Maori including the many slaves became the Queen’s subjects, equal to Britons - an unprecedented status for tribal people at that time. The treaty did not give Maori any special rights but radicals of the late 20th century and their collaborators in Parliament and on the Bench have created a quite different treaty that allowed the government to govern settlers only while letting chiefs carry on being chiefs. This is nonsense because were it true chiefs would have kept their slaves and carried on being cannibals. Moreover, the twin fictions of "principles" and "partnership" have expanded into demands for 50 percent of the nation's resources for the benefit of part-Maori who make up only 14 percent of the population. Tribes Treaty Money Power compares the treaty that was signed in 1840 with a redefined 1980s version and unravels the tangled web that the lawyer-driven treaty industry has become. It tells of missionaries, musket wars, land sales, the 1860s armed conflicts, the 1940s settlements, Maori sovereignty protest, the grievance industry from 1985, as well as the rise of the new-rich tribal corporations. It is vital for every New Zealander to understand what lies behind this newly created phenomenon, which is driving a sword through the unity and sovereignty of the nation. This book explains the issues truthfully and clearly. 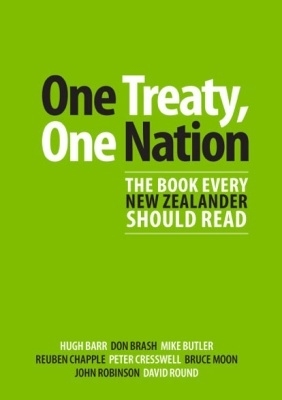 Andy Oakley questions the logic of giving ever greater taxpayer handouts on a racial basis to an already wealthy tribal elite instead of making these "Treaty billions"available to all New Zealanders on the basis of need. He exposes the Waitangi Tribunal as a racist fraud and shows that, at the time of signing the Treaty of Waitangi in 1840, there was no such thing as a "Maori race"- only various nations/tribes that were constantly at war with each other. 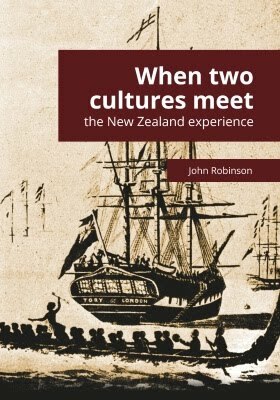 Here Dr. Robinson explains why the pre-1840 Musket Wars were the reason why the Maori population dropped so dramatically in the nineteenth century. 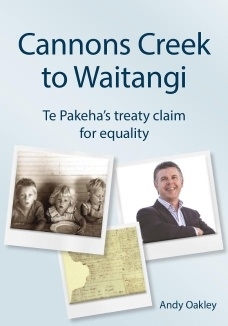 He also shows from personal experience how scholars in the Treaty industry are required to doctor their research to suit the endless claims that are being made to the Waitangi Tribunal. This, the corruption of history, is then compounded by the corruption of democracy as exemplified by the back-room deals being made in secrecy with tribes and behind the backs of the taxpayers. The author also explains how, by basing everything on what the tribes held on a single date, 1840, the Treaty process is rewarding aggressive tribes who happened to be holding particular lands at that time that they had recently taken off others by force of arms. 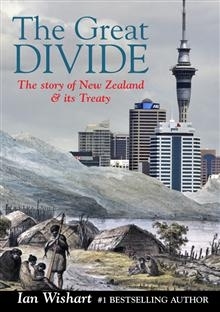 The Great Divide by Ian Wishart, working from the original documents from 200 years ago, directly challenges the findings of books like Michael Kings Penguin History of New Zealand or Claudia Oranges Treaty of Waitangi, and in doing so offers a fresh new perspective on an issue affecting every single New Zealander. Maori or Pakeha, the making of New Zealand is a story we can all be proud of, something we can and should celebrate. Its our story. The Great Divide is likely to be one of the most talked-about books this year. 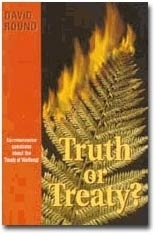 In this book Andy Oakley, the author of "Cannons Creek to Waitangi", exposes the fraud of the New Zealand government in the 21st century continuing to transfer wealth, rights and public resources from the general public into the hands of a small tribal elite composed of people who have more European blood in them than Maori. Some of them are more than 96% European and yet they continue to receive race based privileges and special funding not available to others. 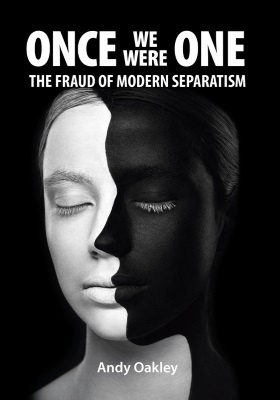 Having grown up in the low income suburb of Cannons Creek, near Wellington, the author has strong views about this continuing enrichment of a small elite on a purely racial basis while those in real need - both Maori and European - are missing out. And he is not afraid of naming and exposing some of the greediest of these "pseudo-Maoris" with their hands out for whatever they can get. Stressing that government assistance to anybody should be on the basis of need rather than race, he proposes a better and fairer society than the path of apartheid that New Zealand is blindly walking down. If New Zealanders ignore the message of this book, they do so at their peril. 175 years ago our forebears brought forth a new nation, conceived in trust and dedicated to the proposition that all New Zealanders would be one people, living under the same law. But for the last 40 years we have been under relentless pressure to divide the country into two groups - iwi and the rest of us. 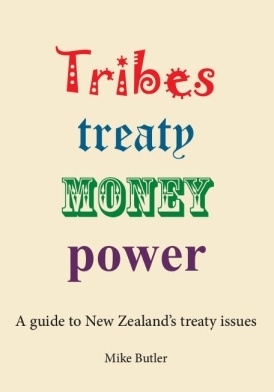 This is probably the most important book published in recent times as it shows how in 27 years the Treaty of Waitangi has been reinterpreted, the "partnership" myth created, tribal corporations set up, public assets transferred to those corporations which are now on the brink of securing a special place in a new, treaty based, written constitution. An analysys of the coming of Europeans to New Zealand and the Maori realisation that their own dysfunctional culture had to change. The true story is here built on the observations of those who were present at the time, and the often absurd proclamations of revisionist historians are corrected. An excellent history book for those who are seeking the truth about the nation's early history. 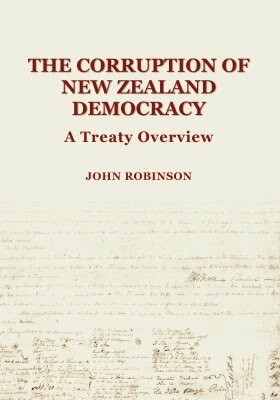 "This compact little volume gives a disturbing account of the political processes surrounding the foreshore and seabed issue and highlights the distorted impression conveyed to the public by politicians in order to curry favour with the Maori Party, whose votes are needed to keep National in power. 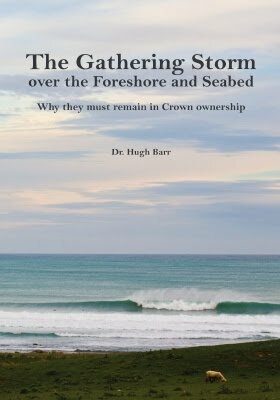 Dr. Barr warns, 'The National Government's Act will compromise New Zealand's sovereignty and the integrity of our democracy by giving excessive, race based-powers over the foreshore and seabed'. His accounts of the conflicts of interest of Chris Finlayson highlight the lack of balance and fair-handedness involved since Finlayson was Ngai Tahu's treaty negotiator against government for many years. Further, Dr. Barr points out that, under the new [Marine and Coastal Area] Act, Maori will be able to declare wahi tapu any sites they choose, with refusal of public access. This book should be carefully considered by everyone with a concern for public access to coastal areas and the need to prevent racially based legislation getting through Parliament." 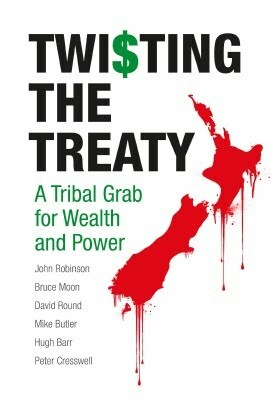 "The Treaty is a fraud" used to be a catch-cry of Maori activists - now, perhaps it should be shouted by Pakeha, argues David Round in this controversial new book. Following on from his thought-provoking series of articles on the Treaty and environmental issues in The Press, he examines the present enthusiasm for the Treaty as part of a wider revival of indigenous and local interests, the fragmentation and decline of the nation state and the West's loss of confidence in itself. Chapters consider the law relating to the Treaty, the nature of justice and particular questions concerning the conservation estate. This is no reactionary right-wing rant against all that is new, but a sensible, refreshing and at times surprising book by an acute commentator on social and political issues. David Round , a lecturer in law at the University of Canterbury, is also well known as a debater, newspaper columnist and public speaker.